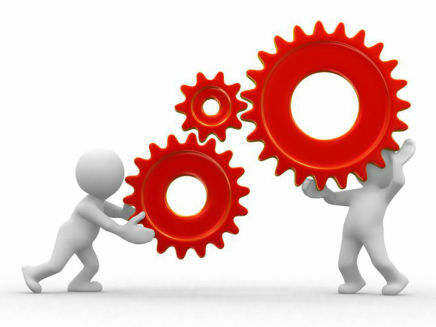 All organizations should strive to deliver services and products that meet the needs of the customer. Not partially, not occasionally, but always! This can only be realized by continually optimizing all (internal) processes. Your organization is no exception! It has become clear that process optimization can be realized through the application of just a few relatively simple methods. customer of any added value. By doing this the quality goes up and the costs go down, which leads to an improvement of the business profits. This method is especially interesting for organizations with slightly more complex (production) processes. The more steps the more waste can be removed from a process. The amount of wastage differs, of course, from company to company and from process to process, but percentages of more than sixty percent are not unusual. The production sector is not the only sector with complex processes, they can also be found (in abundance) in the service sector and in the government. Herewith you can think of, for example, the analysis of samples in a laboratory, the administrative process from assignment to payment, the logistic process of supermarkets, the treatment process of a patient in a hospital, etc. The Japanese word ‘KAIZEN’ means improvement, improvements without high costs, where everyone, from manager to co-worker, is involved and uses their common sense. This Japanese method of improvement stimulates the daily application of small improvements. The most important aspect of KAIZEN is that it is a constant, never-ending process of improvement. It is a soft and gradual approach; this is in contrast with the more western custom of drastic changes and big investments. 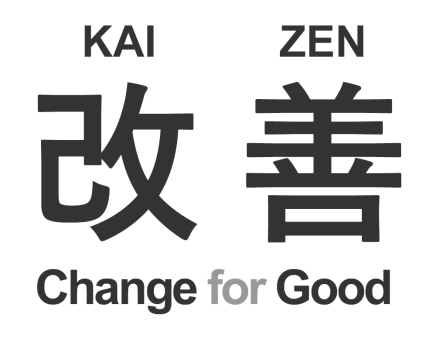 This Kaizen method can be put into practice in three different ways. The most recurring way is to make the co-worker’s work more productive, less exhausting, and / or safer. To realize this goal, the workers are stimulated, among other things, to better themselves. The second way is to improve equipment, like installing devices to avoid or detect errors, and / or by changing the machine layout. The third way is the improvement of procedures. All of these alternatives can be combined in a broad scale improvement plan. Anyway, the first stage is reviewing the current work standards, to check the current performance, and than to estimate how and how much performance can still be improved. After successfully carrying out an improvement the work standard can be adjusted. general impact. An improvement idea can be a response to a problem exposed by a KAIZEN team or can come out spontaneously. 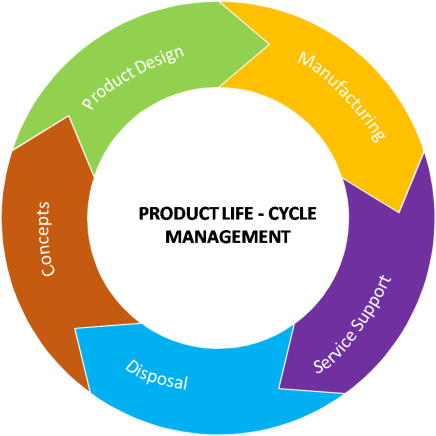 Life Cycle Costing (LCC) is a technique to establish the total cost of ownership. It is a structured approach that addresses all the elements of this cost and can be used to produce a spend profile of the product or service over its anticipated life-span. The results of an LCC analysis can be used to assist management in the decision-making process where there is a choice of options. Why is this important? The visible costs of any purchase represent only a small proportion of the total cost of ownership. In many companies, the responsibility for acquisition cost and subsequent support funding are held by different areas and, consequently, there is little or no incentive to apply the principles of LCC to purchasing policy. Therefore, the application of LCC does have a management implication because purchasing units are unlikely to apply the rigors of LCC analysis unless they see the benefit resulting from their efforts. 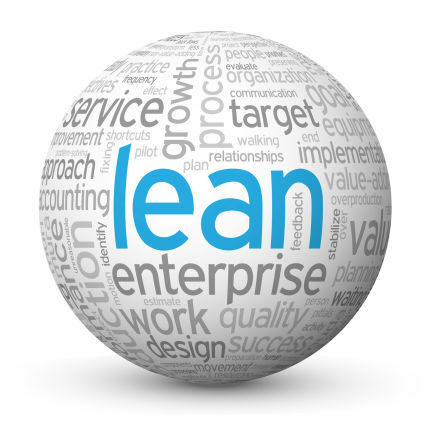 Lean Maintenance targets waste associated with under-maintaining and / or over-maintaining assets. It’s a regular target of continuous improvement programs. Under-maintaining assets is characterized by maintenance activities not performed, activities performed at too long intervals, or ineffective (or non-existent) activities. This leaves an evident waste trail as it often results in frequent and long breakdowns, high levels of unplanned work and lost production and output. Over-maintaining assets is characterized by activities performed at more frequent intervals than necessary and by activities that add no value to the output. Over-maintaining assets leaves a less obvious waste trail. We are inclined to believe that our maintenance activities are effective if we are not constantly rectifying breakdowns. When left unchallenged this over-maintenance silently and constantly squanders precious maintenance resources that impact the direct costs and the profitability of our businesses. Since the maintenance trigger points are set to minimize or even eliminate unplanned downtime, they are conservative by nature. This means that the majority of maintenance efforts are “too soon”, creating an excessive maintenance expense or maintenance waste. Therefore, maintenance is anti-lean. To provide lean maintenance, how can we plan maintenance to both avoid failures and minimize the cost? Failure analysis reveals how assets fail and why they fail during their technical life span. Understanding failures can also reveal the right maintenance work to be performed based upon the specific symptoms. By monitoring the assets with this view, we can detect the symptoms of failure and react to the symptoms with the right maintenance work. The result is assets that are less likely to fail and that require far lower maintenance expenditures. improve quality and safety, decrease lead time and costs, and increase your financial results!